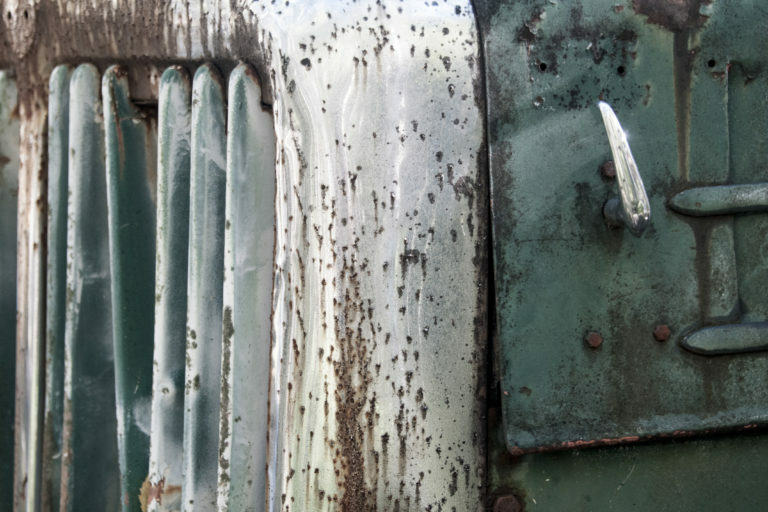 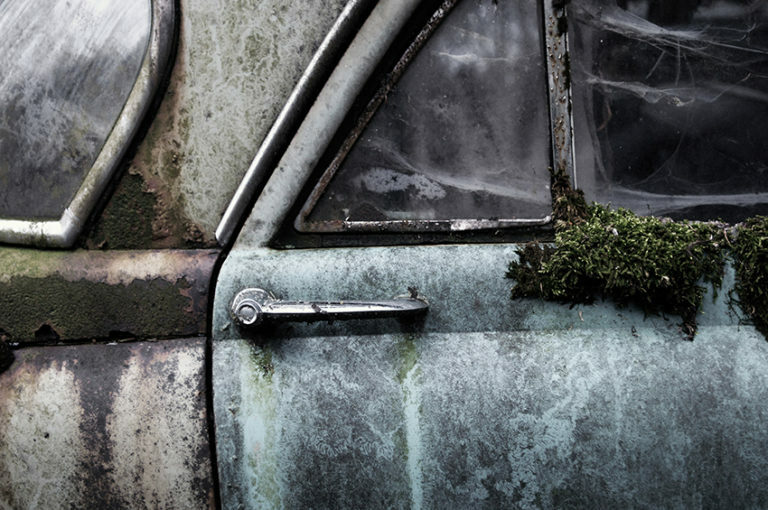 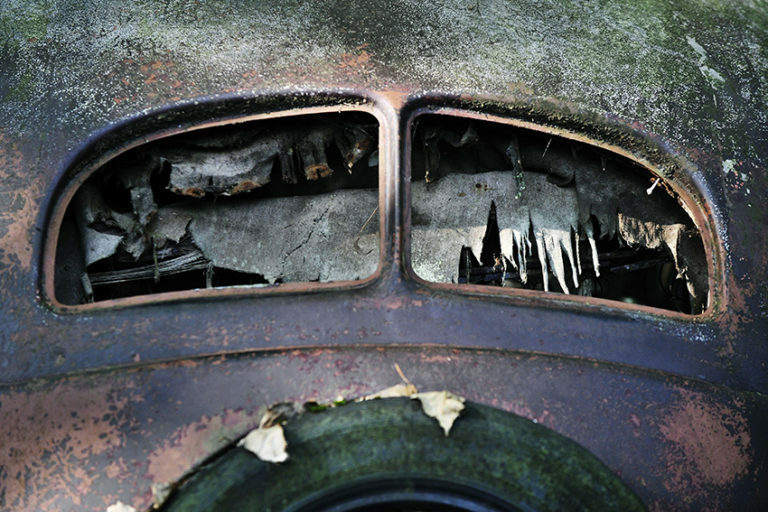 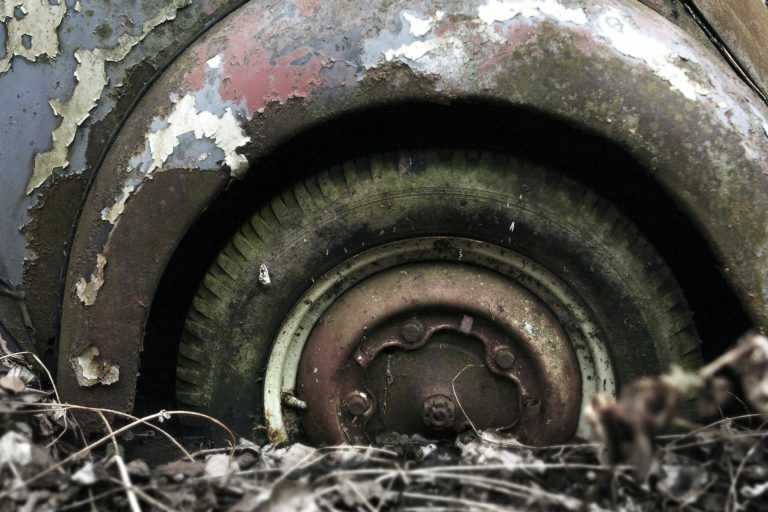 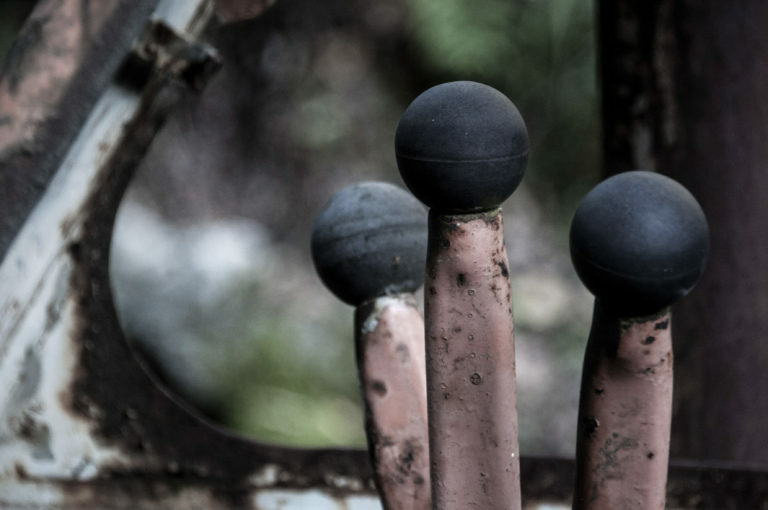 Autofriedhof is a photo essay by Australian photographer Alison Pouliot. 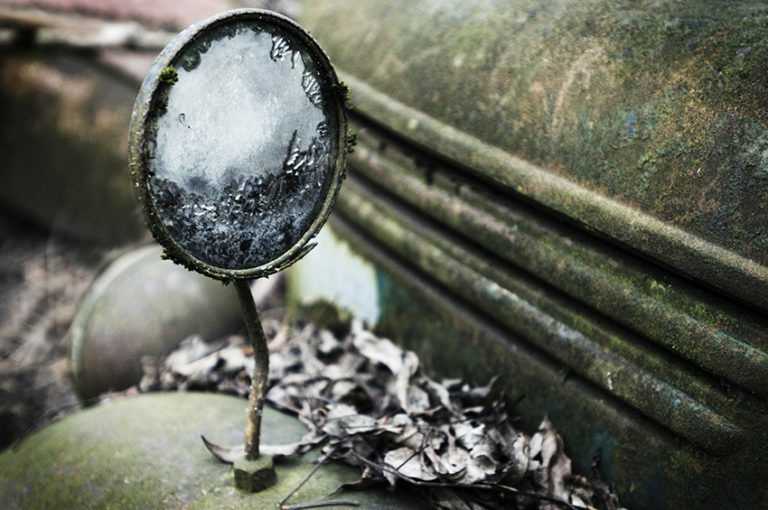 A side-view mirror, strangely non-reflective. 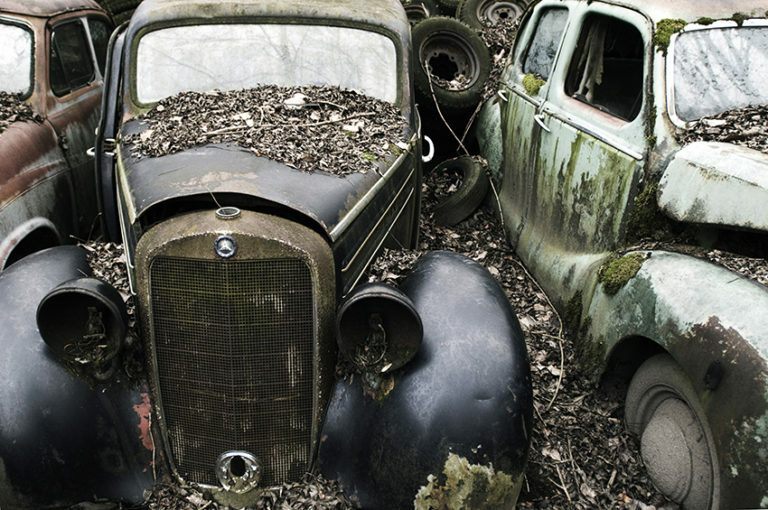 Lens-less headlights. 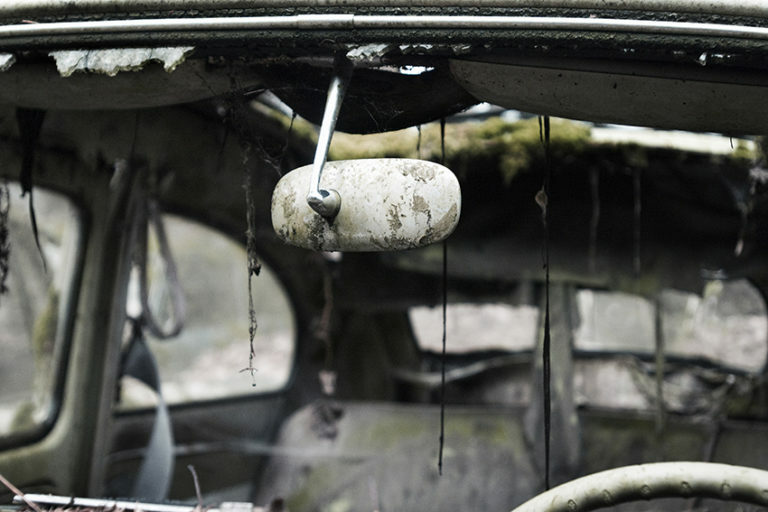 A gearstick jammed in reverse. 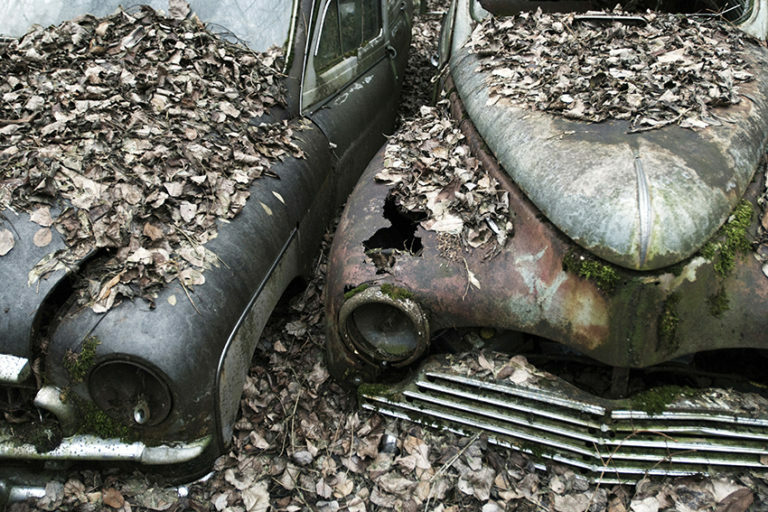 Abandoned vehicles in a winter forest – an Autofriedhof – slowly subside in the leaf litter. 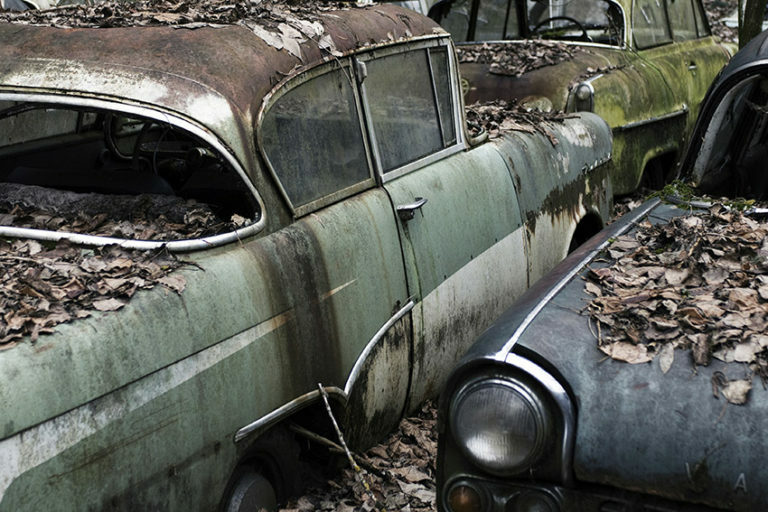 Lichens erode complex compounds of car paints and parts. 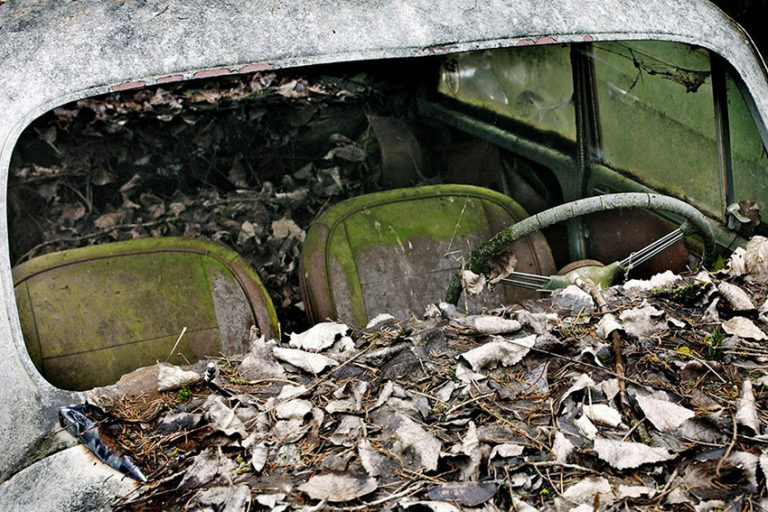 An aesthetic beauty emerges as emulsions and ideologies are eaten away as culture and nature converge.